At Oakton Dental Center, Dr. Abbas Ahrabi offers personalized, effective solution for patients dealing with various stages of periodontal disease. Dr. Ahrabi can work with you to find the right solution for your teeth and gums. To explore your treatment options, visit Oakton DentaL Center in Oakton, VA, or schedule an appointment online. 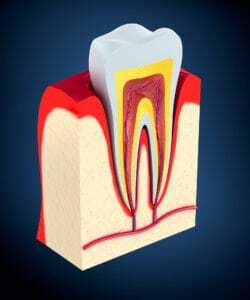 Periodontal disease, or gum disease, is an infection of the gum tissue. Plaque buildup is one of the leading causes of gum disease. When plaque is properly removed from the teeth, the bacteria in plaque can find its way to the gum line. Once the bacteria reach the gum line, you may experience symptoms like bleeding gums, shifting teeth, deep pockets around the teeth, halitosis, and eventually tooth loss. If you notice any signs of gum disease, please schedule an appointment with Dr. Ahrabi at Oakton Dental Center. In most cases, gum disease is preventable with excellent oral hygiene and regular visits to the dentist.Dr. Ahrabi can work with you to help you create a personalized solution to keep your teeth and gums healthy. Floss at least once a day to remove debris and plaque from between the teeth. Incorporate mouthwash into your oral hygiene routine. Schedule biannual visits to our Oakton dental office. During your preventive care visit, Dr. Ahrabi will carefully examine your teeth and gums to check for any signs of gum disease. To learn about our services, visit Oakton Dental Center in Oakton, VA. Dr. Ahrabi can work with you to create a personalized solution to address your oral health needs. To schedule an appointment, call (703) 382-6789 or schedule an appointment online.